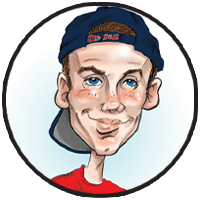 The Bax Illustration team draws hundreds of gift caricatures every year. Why? They are perfect for all occasions. 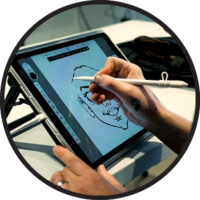 Unlike other services that modify photos, our team actually draws by hand on a tablet. If you need some inspiration, check out these gift ideas. Your gift caricature order is truly custom. Are you going for a traditional caricature or do you want an elaborate theme? What size would you like it to be? Let’s go! Now that we have the details, we start drawing your custom caricature from photos you provide. We guarantee a 2 week completion on most projects but can often work with rush orders. Time to deliver the finished product. With flexible sizing, it is easy to find mats and frames for your caricature. We also provide a hi-res copy so it can be shared on social media. 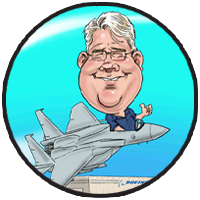 Caricatures are the perfect gift for retirees. Give us some special details about their hobbies and interests and we will create the perfect retirement gift. 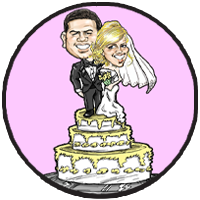 Surprise the bride and groom with a wedding caricature. There are a number of themes to choose from or request something custom. Whether it’s a milestone birthday or just another year, caricatures are a great gift idea. A printed version and digital copy are at your fingertips so you can share the drawing on social media for everyone to see. Let's Create The Perfect Gift Now! Odering gift is easily done online. Provide some details and truly customize your illustration. 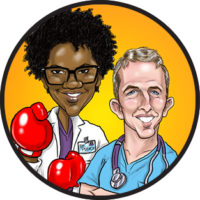 Do you have more questions about our Gift Caricatures? 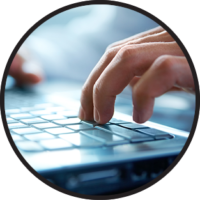 If so, please visit our FAQ's Page or Contact us today!